A person was hit by a Caltrain on the tracks Tuesday afternoon in San Francisco, causing delays in both directions, according to Caltrain officials. At about 2:50 p.m., southbound train no. 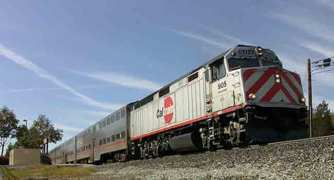 254 struck a person who was trespassing on the tracks between Tunnel 2 and Tunnel 3 in San Francisco, Caltrain said. Emergency personnel were on scene, and the person was taken to a hospital, the agency said. All trains were held at the incident area for about 45 minutes, Caltrain said, and they reopened at maximum speed at about 3:35 p.m. There were about 380 passengers onboard the train, and no injuries onboard were reported.